Analysis of datasets collected on marked individuals has spurred the development of statistical methodology to account for imperfect detection. This has relevance beyond the dynamics of marked populations. A couple of great examples of this are determining site occupancy or disease infection state. The regular series of EURING-sponsored meetings (which began in 1986) have been key to this development. They’ve brought together biological practitioners, applied modellers and theoretical statisticians to encourage an exchange of ideas, data and methods. 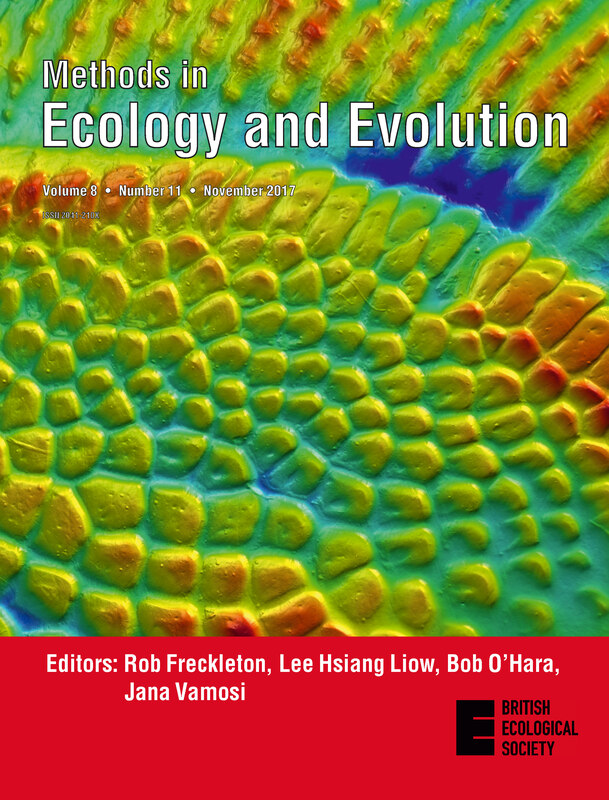 To celebrate the International Statistical Ecology Conference and British Ecological Society Quantitative Ecology Annual Meeting, Laura Graham and Susan Jarvis have compiled a virtual issue celebrating all things statistical and quantitative in ecology. 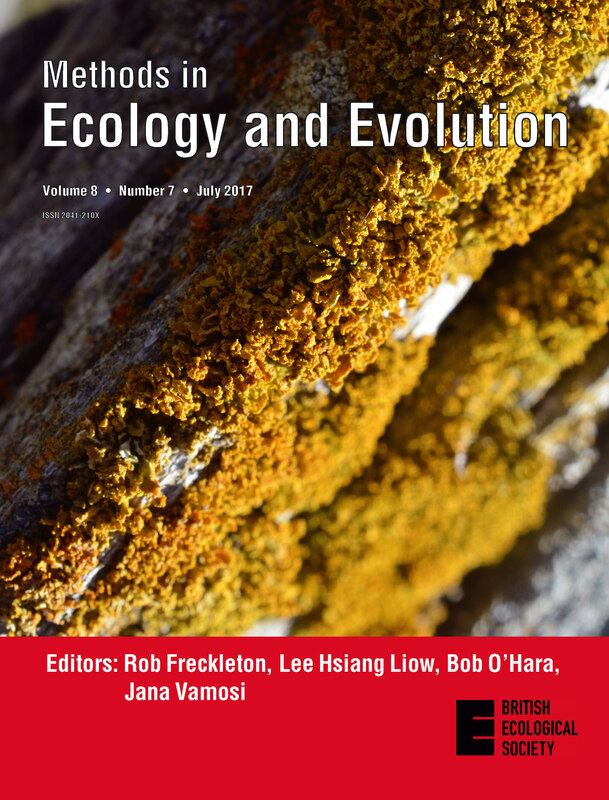 Today, we are pleased to be the latest new member of the Methods in Ecology and Evolution Associate Editor Board. David Soto joins us from the University of Leuven in Belgium and you can find out a little more about him below. David is currently working on isotopic methodologies to quantify the linkages and support of aquatic and terrestrial primary production sources into Afrotropical aquatic food webs. He recently developed a new method to distinguish dietary sources combining stable isotopes and trace metal accumulation data. Other recent published articles investigated the use of hydrogen isotopes to track fish provenance and to infer butterfly migration movements across the Sahara. He is also collaborating with the IsoriX core team to develop a new method and R package to infer spatial origins of migratory animals using mixed models. We are thrilled to welcome David as a new Associate Editor and we look forward to working with him on the journal. Issue 8.11 is now online! The November issue of Methods is now online! This extra large issue contains seven Applications articles and three Open Access articles. These five papers are freely available to everyone, no subscription required. – LSCorridors: LandScape Corridors considers stochastic variation, species perception and landscape influence on organisms in the design of ecological corridors. It lets you simulate corridors for species with different requirements and considers that species perceive the surrounding landscape in different ways. – HistMapR: HistMapR contains a number of functions that can be used to semi-automatically digitize historical land use according to a map’s colours. Digitization is fast, and agreement with manually digitized maps of around 80–90% meets common targets for image classification. This manuscript has a companion video and was recommended by Associate Editor Sarah Goslee. – vortexR: An R package to automate the analysis and visualisation of outputs from the population viability modelling software Vortex. vortexR facilitates collating Vortex output files, data visualisation and basic analyses (e.g. pairwise comparisons of scenarios), as well as providing more advanced statistics. When You Enter the Matrix, Things Become Difficult! Protecting wildlife calls for a profound understanding of species’ habitat demands to guide concrete conservation actions. Quantifying the relationships between species and their environment using species distribution models (SDMs) has attracted tremendous attention over the past two decades. Usually these species-environment relationships are estimated on coarse spatial scales, using globally-interpolated long-term climate data sets. While they’re useful for studies on large-scale species distributions, these environmental predictors have limited applications for conservation management. Climatic data were the first environmental information available with global coverage, but a wide range of Earth observation techniques have increased the availability of much finer environmental information. 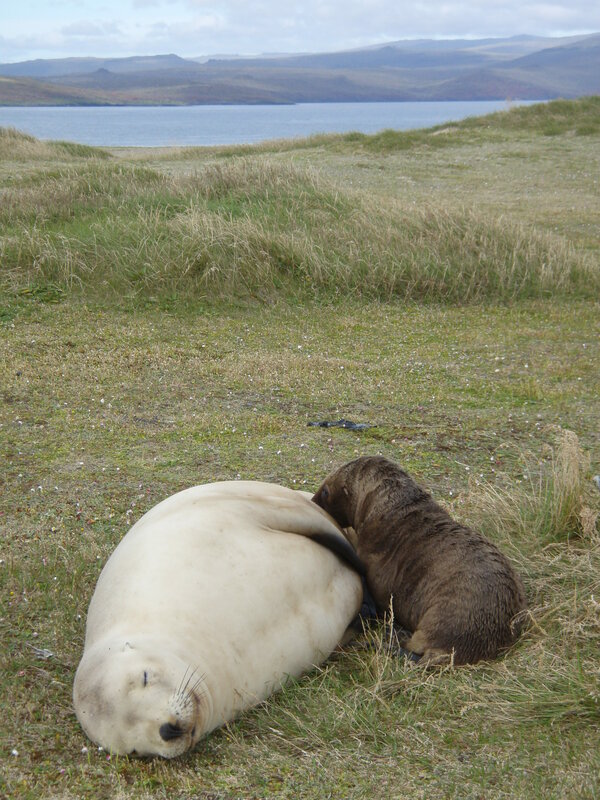 This allows us to quantify species-environment relationships in unprecedented detail. We can now shift the scale that SDMs operate at, resulting in more useful applications in conservation – SDMs now enter the matrix. Issue 8.7 is now online! The July issue of Methods is now online! This issue contains three Applications articles (one of which is Open Access) and one additional Open Access article. These four papers are freely available to everyone, no subscription required. – BioEnergeticFoodWebs: An implementation of Yodzis & Innes bio-energetic model, in the high-performance computing language Julia. This package can be used to conduct numerical experiments in a reproducible and standard way. – Controlled plant crosses: Chambers which allow you to control pollen movement and paternity of offspring using unpollinated isolated plants and microsatellite markers for parents and their putative offspring. This system has per plant costs and efficacy superior to pollen bags used in past studies of wind-pollinated plants. – The Global Pollen Project: The study of fossil and modern pollen assemblages provides essential information about vegetation dynamics in space and time. In this Open Access Applications article, Martin and Harvey present a new online tool – the Global Pollen Project – which aims to enable people to share and identify pollen grains. Through this, it will create an open, free and accessible reference library for pollen identification. The database currently holds information for over 1500 species, from Europe, the Americas and Asia. As the collection grows, we envision easier pollen identification, and greater use of the database for novel research on pollen morphology and other characteristics, especially when linked to other palaeoecological databases, such as Neotoma.